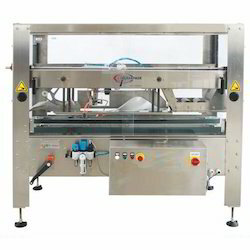 The Auto Uniform Carton Sealer is a Uniform case sealer that provides economical top and bottom case sealing automation for those applications involving runs of cases of the same profile. Semi Automatic carton sealing machines are used for top and bottom sealing of filled paper cartons with pressure sensitive sealing tapes (BOPP). 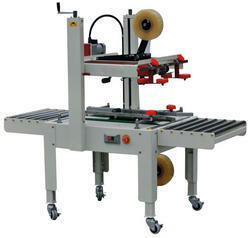 We are offering Semi Automatic Case Erector & Sealer. These machines are precision engineered using high-end technologies and quality assured raw material. Our range is appreciated due to its easy handling and maintenance. This machine works efficiently at higher speed consuming low power. We are offering these automatic case erector & bottom sealer at market leading prices. Drive Belts Speed: 20 m/min.